We’ve been experiencing -20 to -30 C degree temps these past 2 weeks.. way to cold for me but it sure is pretty when the sun is shining on the snow. Here are some winter scenes. I corrected the comments under the tracks in the snow. Dec 14 – Moon setting behind the mountains which are hard to see with the haze. 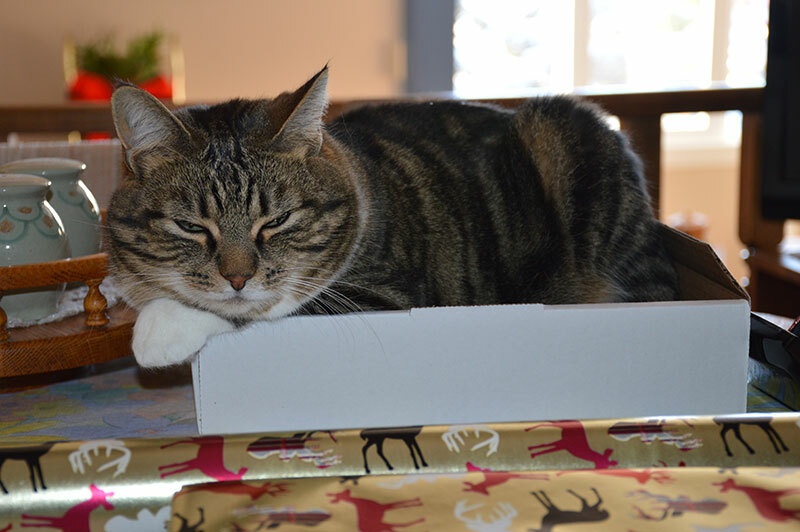 Moxie helping to send a package to Germany. 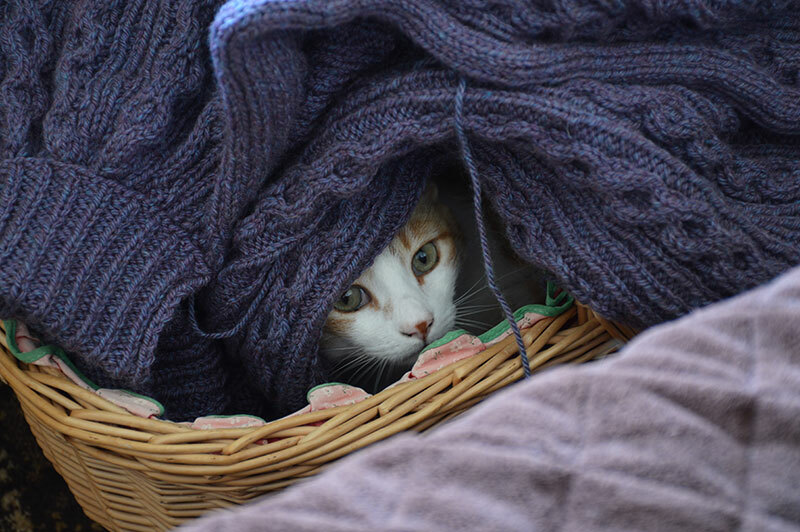 ET hiding under my knitting. 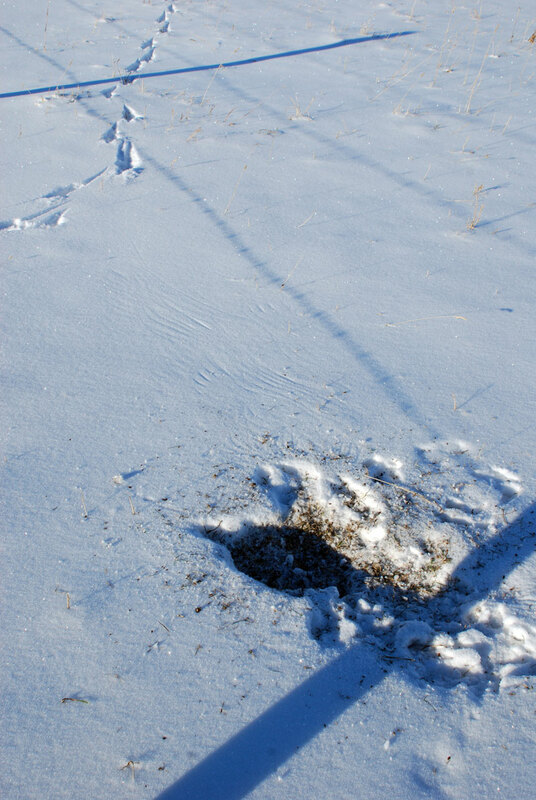 Dec 14 – These marks are from the Great Horned Owl wings. The footprints are from the Great Horned Owl.. she must have been digging for mice. Yes, too dang cold but you DO capture the beauty of winter!! My favourite winter activity since returning from the East is staying inside in my jammies like today!! 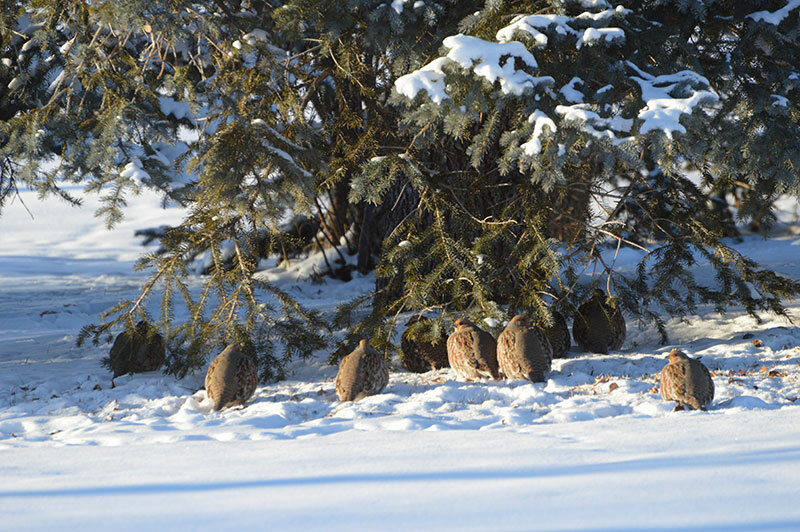 Out walking the pup dog (all 130 pounds of him) this morning we were fortunate enough to see a male ring necked pheasant all fluffed up sitting on a lower branch in some bushes ~ lovely indeed and no camera in sight ! His colours glowing against the snow white background. 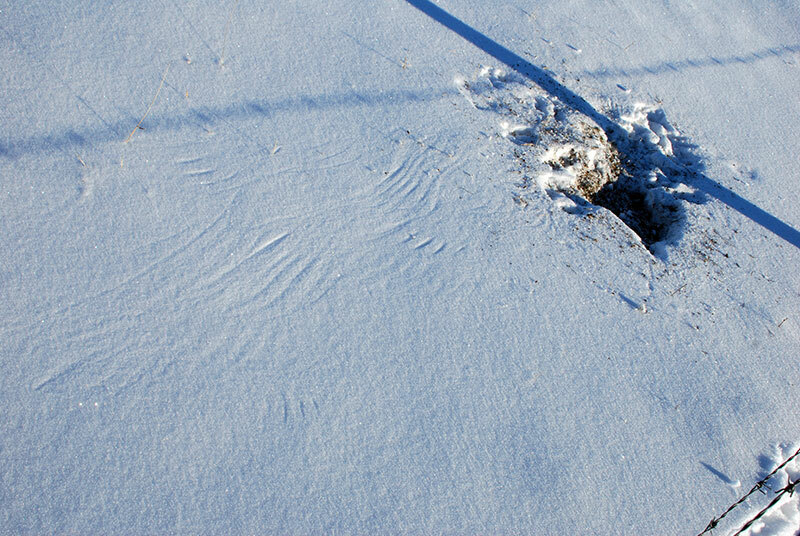 Owl ‘plop’ sites in the snow all around with them capturing the mouse under the snow. Magical indeed. 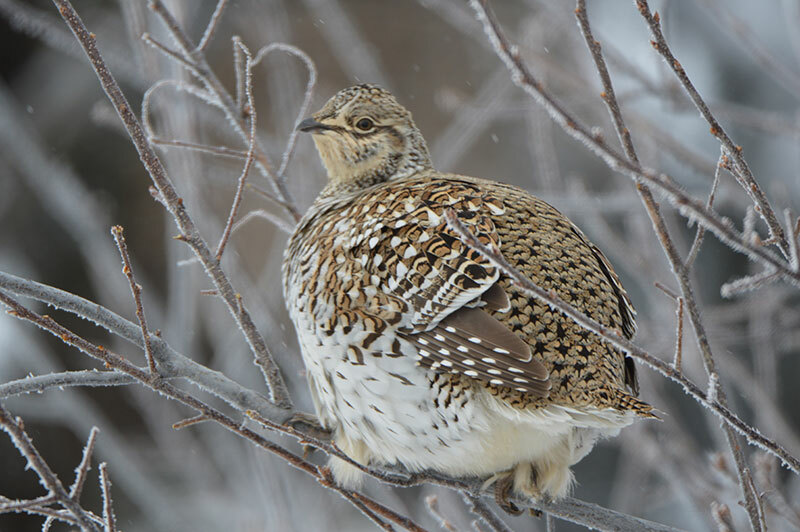 Love the winter scenes and birds. Moxie and ET just love to be helpful! Oh boy are you guys ever getting the cold temps. I thought our first night, tonight, where we drop to double digit cold was going to be chilly! I’ve finished hanging the outside lights and have some cards done but no tree yet. This weekend should see that done. 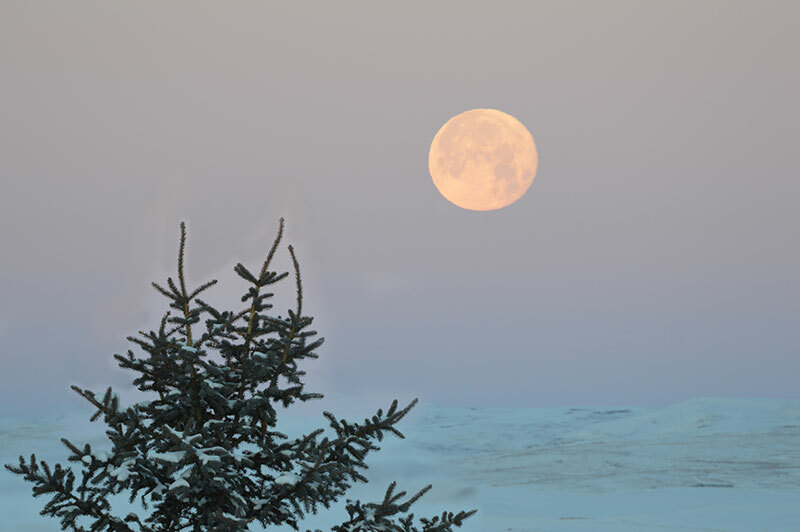 Your pic of the moon setting is really nice, it has been full around here and it is so bright out with the snow on the ground. How deep is your snow? 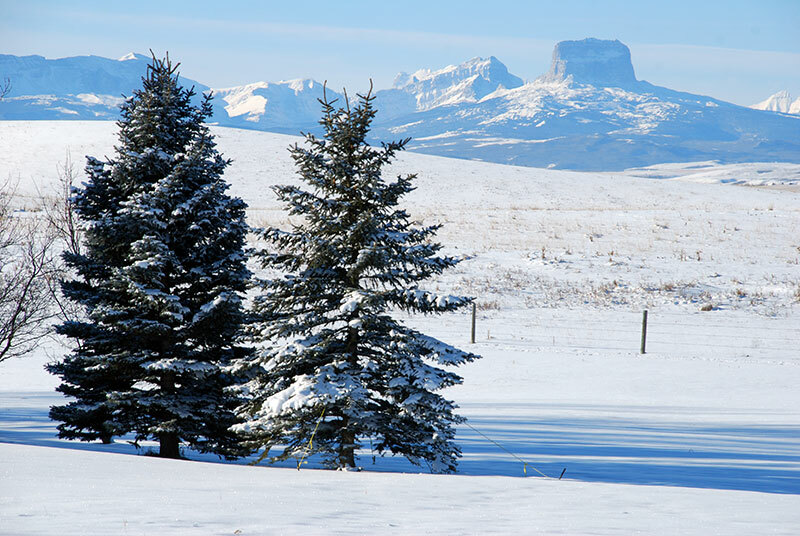 We have about 6″ of snow and it’s snowing again today.. so definitely we’ll be having a white Christmas! I think our fridget weather is moving in your direction.. sorry about that.